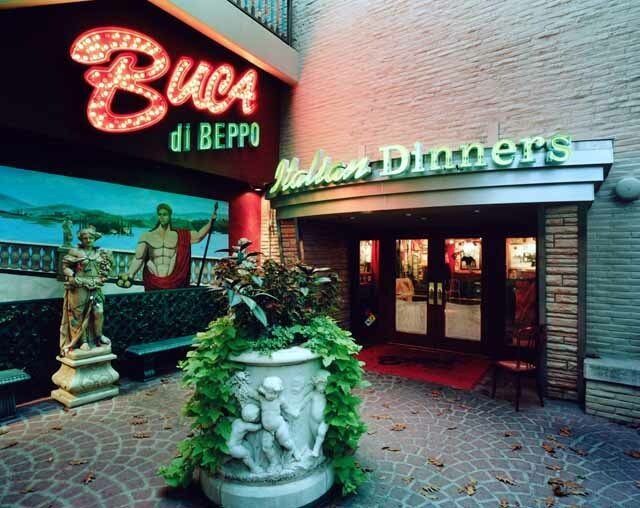 Are you familiar with Buca di Beppo, an Italian family-style restaurant? Let me give you a clue, then…. 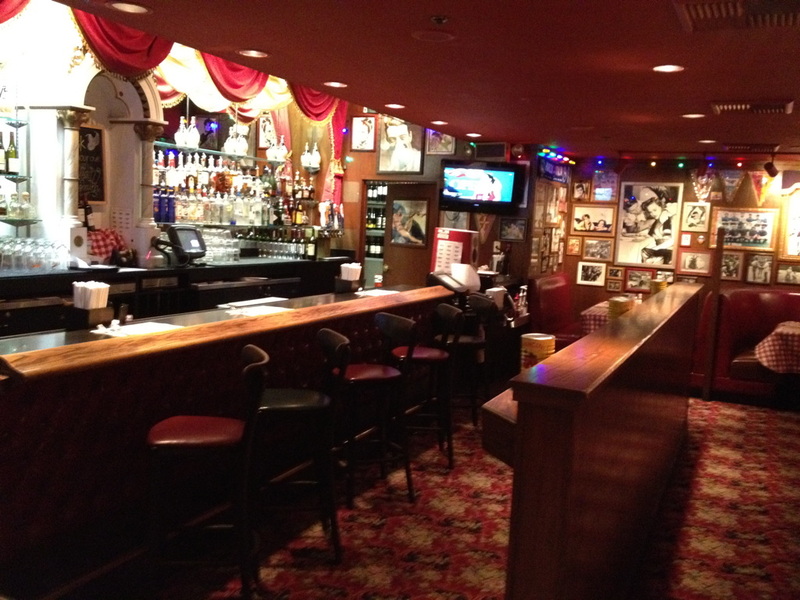 This past Wednesday night, my boyfriend and I went to Buca di Beppo for dinner…because I was STARVING. When I’m that hungry, I MUST go somewhere where I KNOW the food is always going to be delicious. I mean, who wants to try a new place when they’re really hungry, only to not like the food??? So, this restaurant chain, which has locations from California to NY, serves food in large quantities. For instance, a small serving is enough to feed TWO people! A large can feed FOUR people. Let me tell you, you definitely get your money’s worth! Restaurants are in business to serve customers and make a profit, right? You seriously do not need a degree to understand this concept. Totally not rocket science. How do they make money? By providing good food and great service! It’s a shame when it’s a hit and miss, which is what we have experienced with Buca. Apparently, there were a couple of large parties seated, and they were also dealing with To-Go orders. That’s no excuse. There’s a serious problem when a restaurant can’t handle the number of customers they have and service starts failing because of it. Big fail. When we went in, we decided to sit at a table in the bar area, even though we had a reservation. After using the restroom, one of the first things I noticed is the lack of a bartender and servers. I saw a manager walking around, helping to clear tables in another part of the restaurant. But, no bartender. So, there we sat….contemplating leaving….after having sat there for 10 minutes. Lo and behold, here comes a server. But, still, no bartender. We eventually found out the bartender was helping with the To-Go orders, and not tending to his bar customers. Finally, we put our drink order in. Because of the lack of a bartender, we stopped the server, IMMEDIATELY, and told him we were ready to order our food, too. Otherwise, there’s no telling how long we would have to wait to do that! What did I have? I ordered a light Margarita, garlic bread, Salmon Sorrento (lunch portion with one piece of salmon as the dinner portion has THREE!) and Rosemary Potatoes. Can we say D-E-L-I-C-I-O-U-S?! This is the ONLY dish I get from there. It is THAT good! Wanna guess how long it took before we got our drinks, though? It was another 10-15 minutes! Oh, and the water that the server said he would bring to us? Nada. Zilch. Nothing. No waters. But, we DID get our food about 10 minutes after our drinks! Wow. We should be so lucky to eat almost 30 minutes after arriving, right? Mind you, we go to Buca di Beppo often, but not too often to loosen the belt buckle from an expanded waistline! lol The food is ALWAYS good. As a matter of fact, we attended a company Christmas party at this same location, back in December. However, when my boyfriend asked me if I wanted to go back there last night, I said no. That was a first for me, too, because we like to go where we can get points through Southwest Dining rewards. Hey, those points add up! But, after Wednesday night, it was a no-brainer. We went to Bonefish Grill, instead. Previous PostPhoto of the Week: Biggest Wave Yet?! Next PostHELLLP! No One Will HIRE Me! Whyyyy?